An estimated 670k people took to the streets of London to call for a referendum on the final Brexit deal. 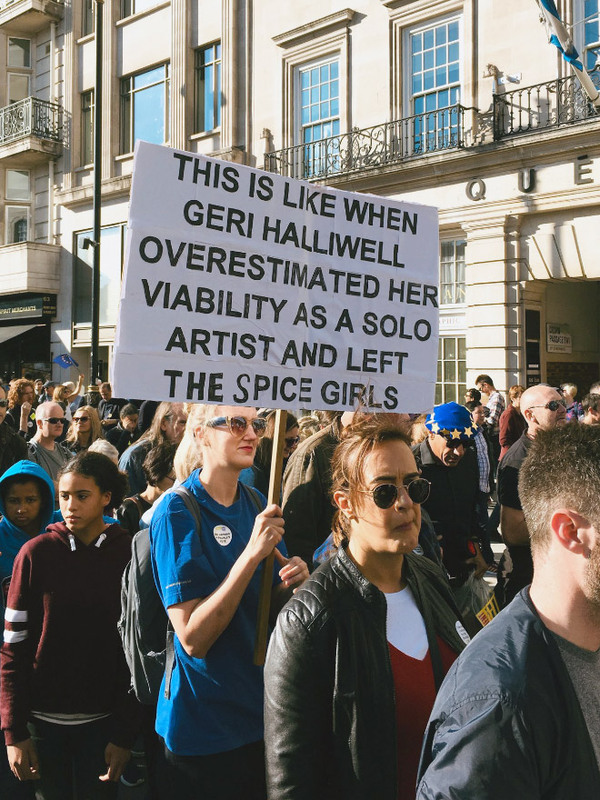 And as expected from any large-scale march, they brought their A-game when it came to hilarious and puntastic signs. Just waiting for my hooman.